Thum! Kaun Aata Hai? : GoI to Scrap Current Naval Multi-Role Helicopter (NMRH) Procurement in Favor of Buy and Make Indian? Advantage HAL! GoI to Scrap Current Naval Multi-Role Helicopter (NMRH) Procurement in Favor of Buy and Make Indian? Advantage HAL! Eighty percent of the cost of development and prototyping under "Buy and Make in India" would be borne by the government, with the developing agency (DA) footing the residual 20%. Scrapping of the ongoing procurement of 16 NMRH from global vendors would be formally announced after the next meeting of the Defense Acquisition Council (DAC) at the end of this month, official sources told FE. 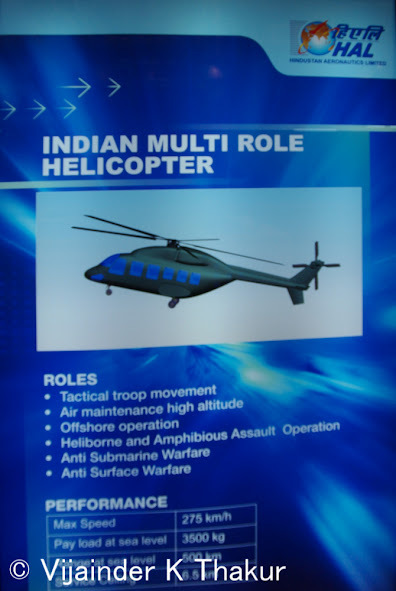 The change in policy would make HAL's Multi-Role Helicopter project a front runner to meet the Navy's long term requirement. IDP Sentinel members can view additional details at the links below.